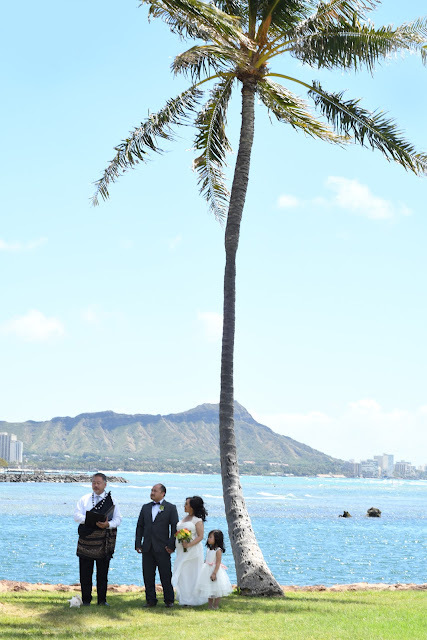 Max and Karen take a stroll with Photographer Robert for more photos on the beach behind their wedding venue at Hale Koa Hotel. 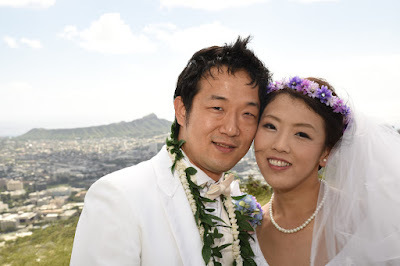 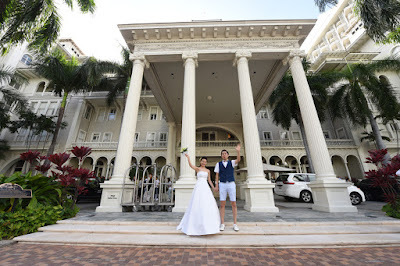 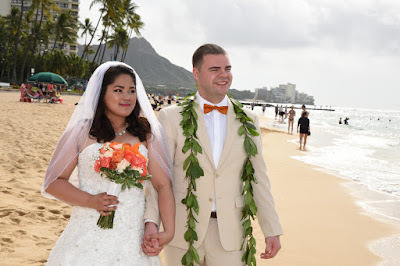 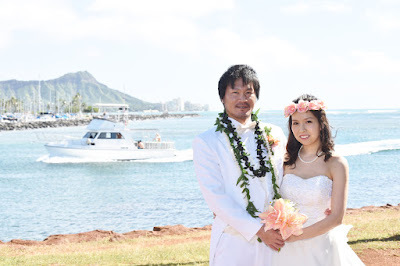 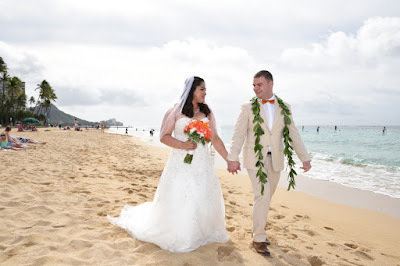 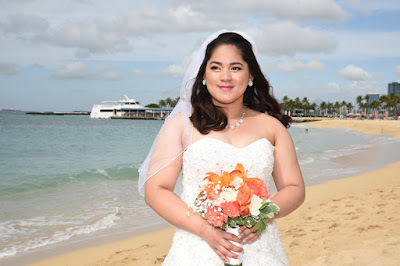 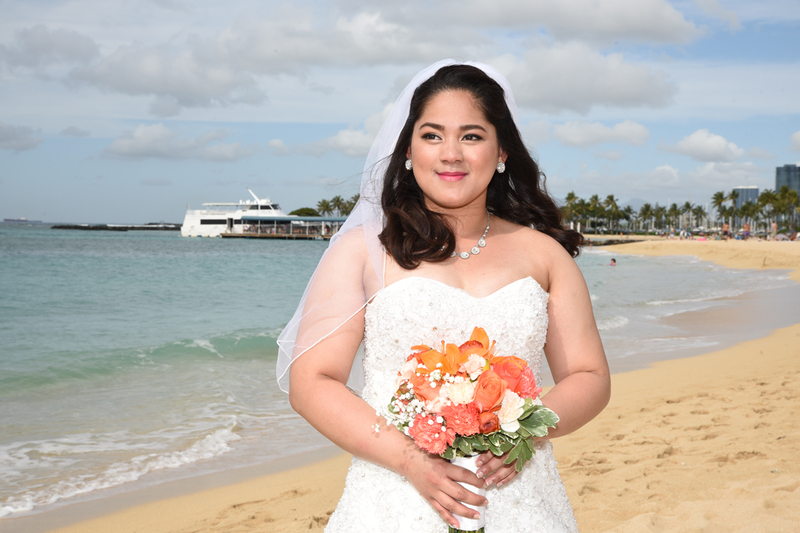 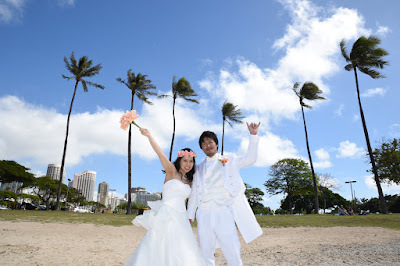 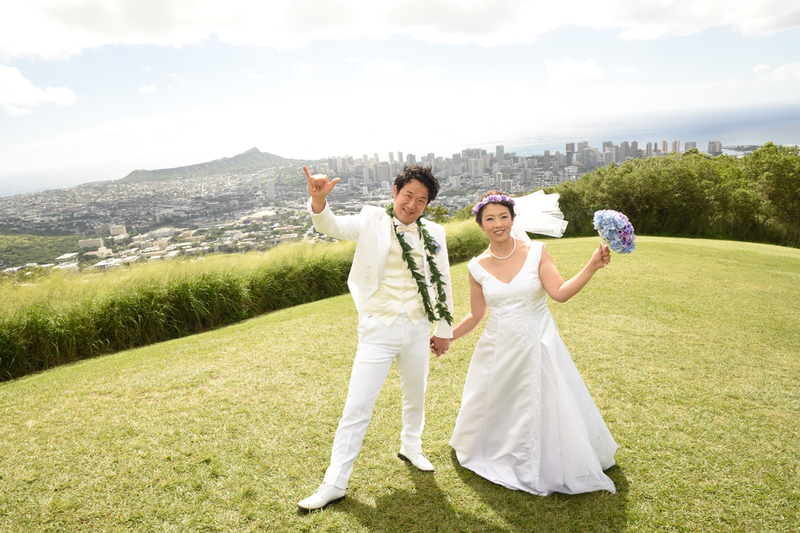 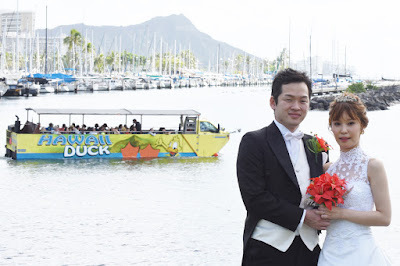 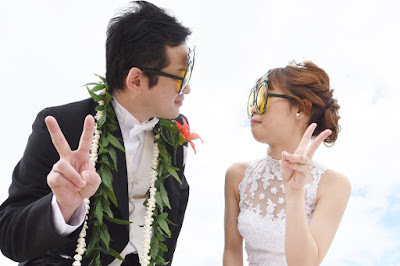 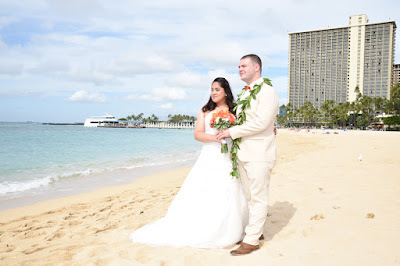 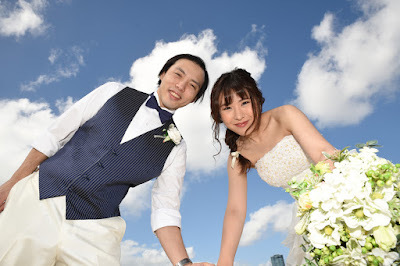 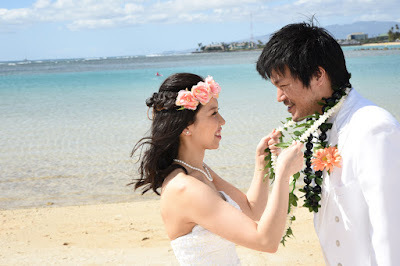 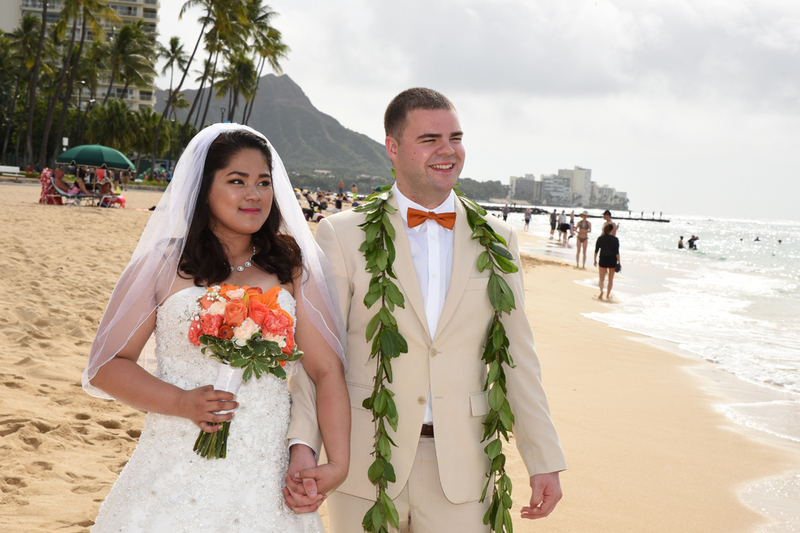 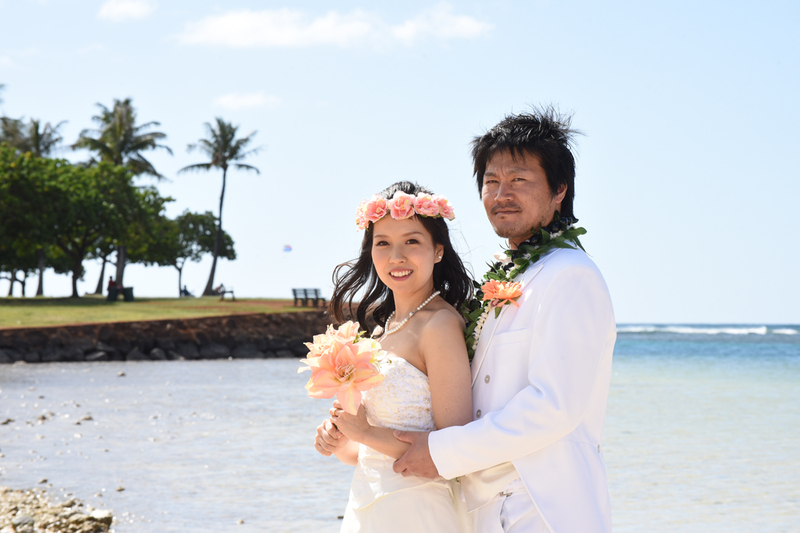 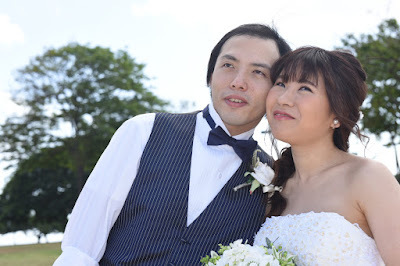 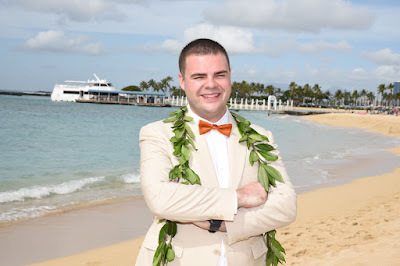 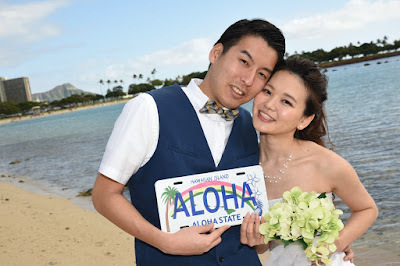 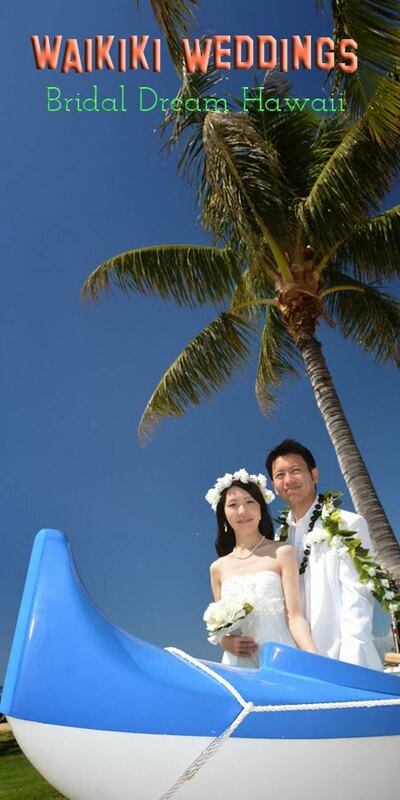 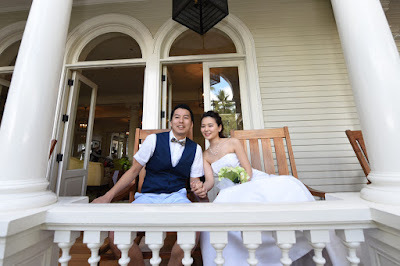 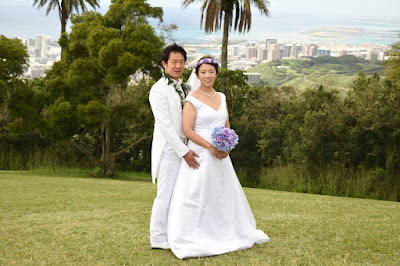 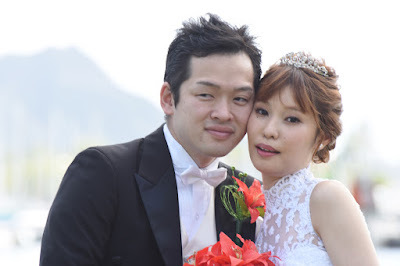 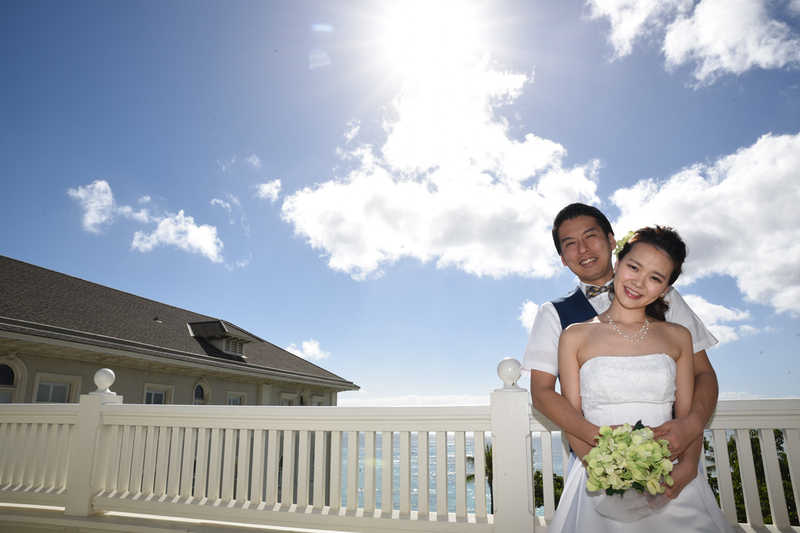 Lovely photo of Mao in her wedding gown at Ala Moana Beach Park. 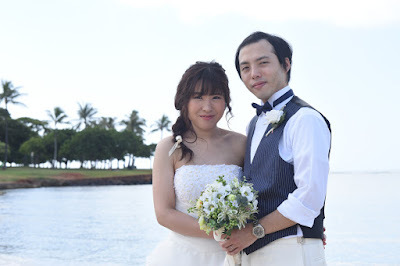 Tatsuro and Azusa holding hands at Magic Island? 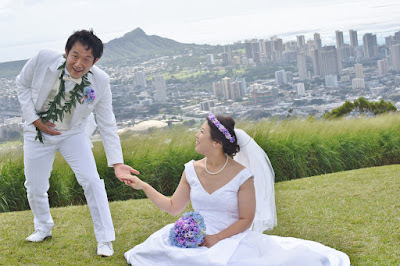 Very little husband, or so it appears in our comedy wedding photo. Lots of fun photos with Keisha and Mio and Photographer Robert Hamilton in Honolulu Hawaii. 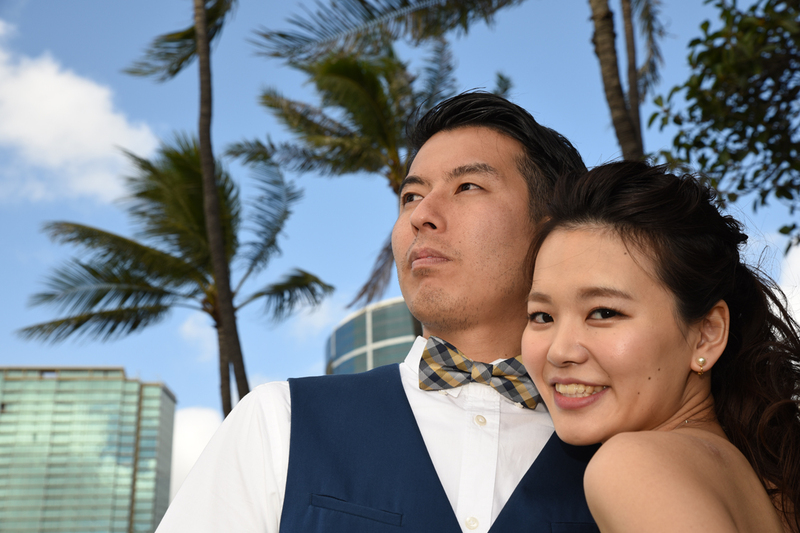 Honolulu skyscrapers and coconut trees make up an Oahu photo backdrop. Awesome view of Diamond Head seen from up the mountain at Roundtop Park. 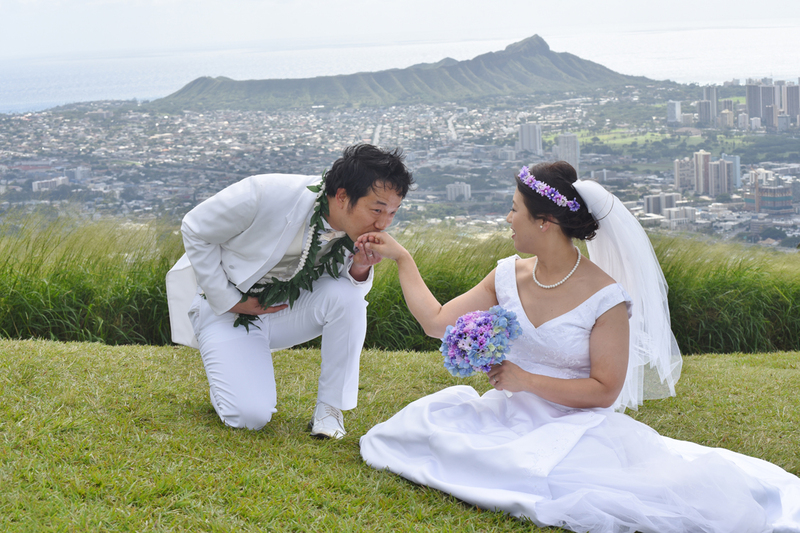 When the wind comes from the south east, "Kona winds" carry volcanic smoke and ash over to Honolulu. 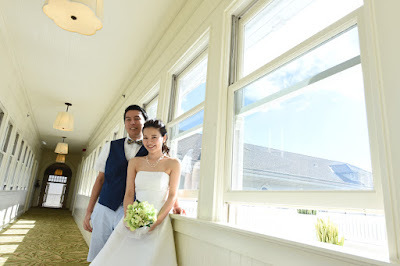 Photos come out a bit soft and dreamy looking. 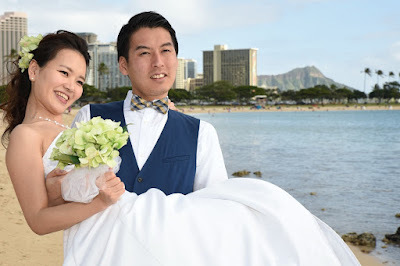 How does the Photographer make the Groom look so small? 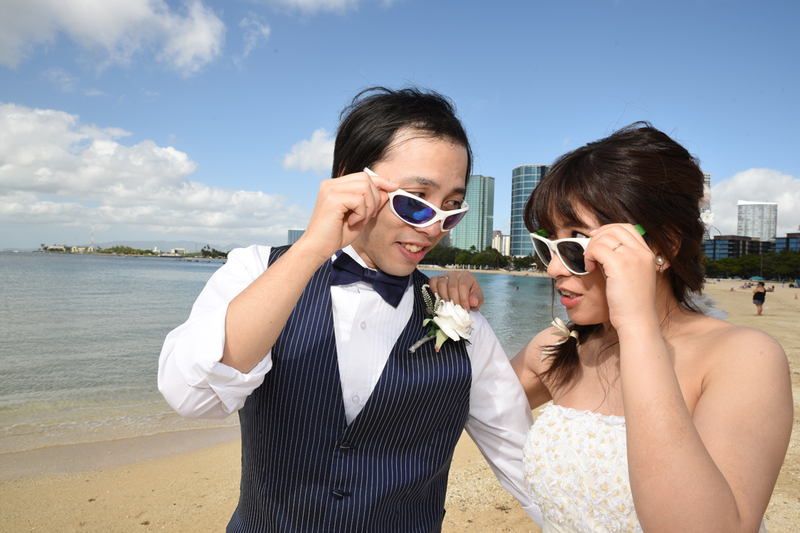 Order our honeymoon photo shoot and he can demonstrate his technique.